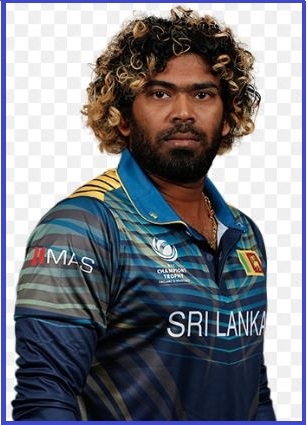 Sri Lankan fast bowler & captain Lasith Malinga (35-years-old) has announced his retirement from ODIs, T20Is after the ICC Men’s T20 World Cup 2020, to be held in Australia over October-November 2020. Lasith Malinga would also quit one-day internationals (ODIs) after the 2019 World Cup in England and Wales. Lasith Malinga made his ODI debut in 2004, becoming the first to clinch two World Cup hat-tricks and the first to take three ODI hat-tricks. Lasith Malinga is also the only bowler to take four wickets in four consecutive balls. Lasith Malinga took retirement from Test Cricket in the year 2010. England at The Rose Bowl, 15th June 2006. Lasith Malinga made his Test debut vs Australia at Marrara Cricket Ground, 1st July 2004 and last Test vs India at P Sara Oval, 3rd Aug 2010. Lasith Malinga till date (March-2019) had played 218 ODIs, taking 322 wickets and 72 T20I taking 98 wickets. He also played 30 Test matches, taking 101 wickets till 2010 (till retirement). Lasith Malinga is an attacking wicket taking Right-arm fast Bowler and Right-handed tail ender batsman. He is considered as a best fast bowler of Sri Lanka cricket team. Lasith Malinga full name (Separamadu Lasith Malinga Swarnajith) was born on 28th August 1983 in Galle, Sri Lanka. He gained a reputation for delivering searing inswinging yorkers from a round-arm action as destructive as it was distinctive.